Phone use results in manual, visual, and cognitive distractions – a motorist using their phone may have hands off the wheel, eyes off the road, and mind off the task. If you are using a phone, you may be sitting behind the wheel, but you are not driving. Michigan’s current ban on texting while driving does not cover many other distractions from phone use behind the wheel. LMB supports laws that would make it illegal to hold or use a phone while operating a vehicle, except in an emergency. Each of us can share stories of lives lost or permanently altered by a traffic crash. People who walk, bike, or use wheelchairs are particularly vulnerable; they make up 19% of Michigan traffic fatalities, and distracted driving threatens to take more and more lives each year. In the past decade, the number of Americans struck and killed while walking increased by 35 percent, and Michigan is the 19th highest state for pedestrian fatalities per capita. Distraction was a factor in at least 3,157 fatal crashes on American roadways in 2016, which comprised nine percent of all fatal crashes that year, according to the National Highway Safety Administration (NHTSA). NHTSA notes that when a driver reads or sends a text message, their eyes are off the road for five seconds, meaning that a person driving 55 mph would travel the length of a football field without looking at the road. 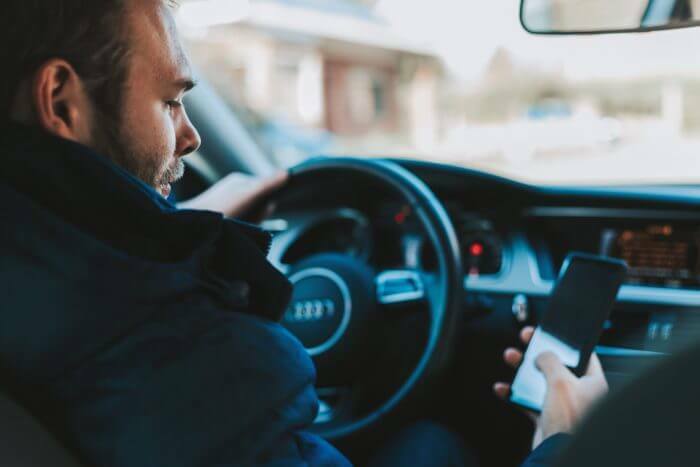 According to data gathered by the University of Michigan Transportation Research Institute (UMTRI), there were 12,788 distracted driving crashes in Michigan in 2016. 43 people were killed in those crashes and 5,103 people injured. In 2017, those numbers increased sharply: 20,115 distracted driving crashes, with 72 people killed in those crashes and 7,652 people injured. Each crash caused by cellphone use represents an avoidable loss of time, resources, and potentially life. To address this crisis, we need a law that is broad enough to capture current and future technology, includes an easy mechanism to trigger enforcement, and has enough teeth to act as a deterrent. We have momentum on our side – three bills have already been introduced, by Representatives Manoogian (House Bill 4181), Cole and Sheppard (House Bills 4198 and 4199). We appreciate the ease of police enforcement for HB 4181 and the strong penalties in HB 4199, and hope to see a future bill package that combines these strengths. Michigan would not be acting alone. 16 other states (most recently Georgia) have banned use of hand-held wireless devices while driving, and the effects have been strongly positive. In the first month after enactment of the ban, Georgia saw a decrease of 48% in cellphone-related crashes. We call on Michigan to pass a strengthened hands-free driving law that is easy to enforce, hard to ignore, and effective in making our roadways safer for people who bike, walk, and use wheelchairs.